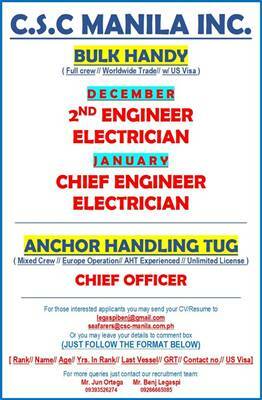 SEAMAN JOB INFO - C.S.C. Manila Inc urgent seaman hiring for Filipino ship crew join on Anchor Handling Tug, Bulk Carrier Vessel deployment December 2018 - January 2019. 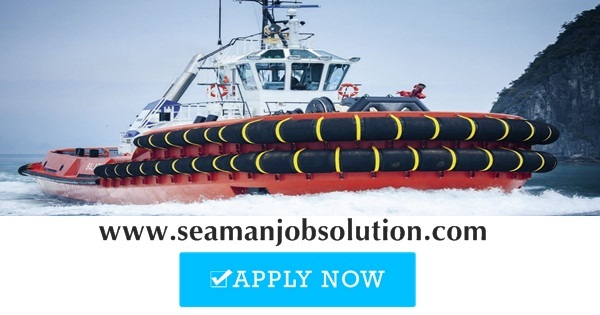 0 Response to "Chief Engineer, Chief Officer, 2/E, Electrician For Anchor Handling Tug Vessel"